Normally on the first of every month I would post my favourites but honestly I don't feel like theres anything that stood out to me and most of the month was makeup free so there wasn't many/any products to stand out for me. 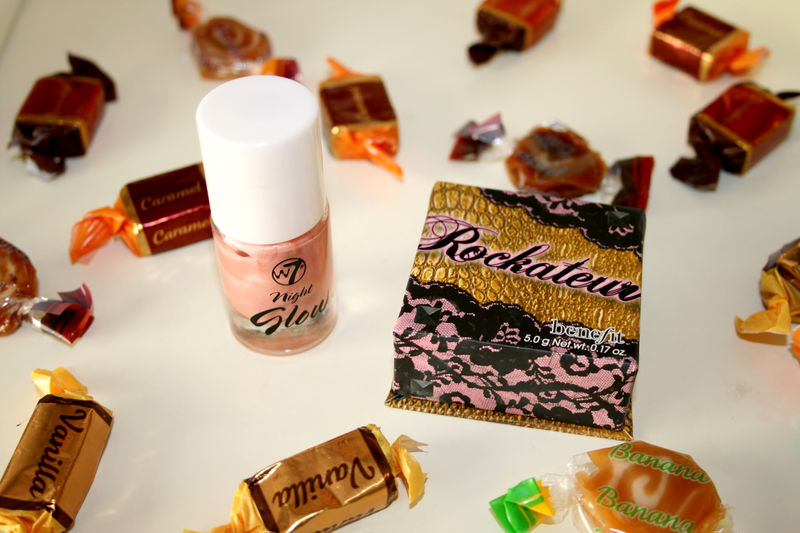 However when I did wear makeup I started to pair these two products together. I'll be honest and say its only in the past few months have I started wearing Blush for the reason being that I have redness in my cheeks all the time so I'm forever using neutralizer to cancel that out so it doesn't show through my makeup and so what was the point in getting rid of that to just put a red blush colour on top? 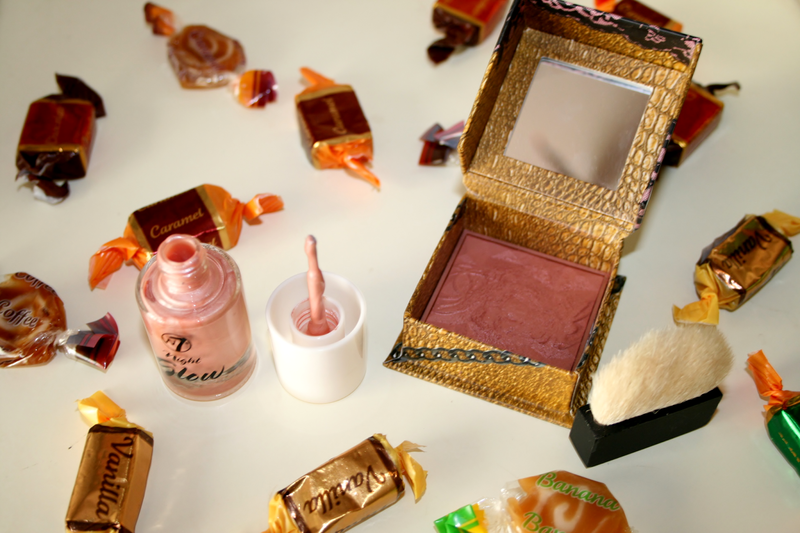 However I adore rose gold, so I knew I wanted to try the Benefit Rockateur Blush and I have been loving it ever since receiving it for my birthday. It's such a gorgeous colour on the skin and it smells divine! Another honest opinion is I've never been one to use highlighting powders or liquids, I've tried them and don't like them because I found they were to shimmery or just looked too shiney and I'm one who loves a matt face so trying to find a highlight that would give shine but not to much and wouldn't be too shimmery as you could probably guess is pretty hard. Recently I received a prize package from the lovely people over at W7 Makeup and their 'Night Glow Highlight and Illuminate' product was one of the things included in the package. 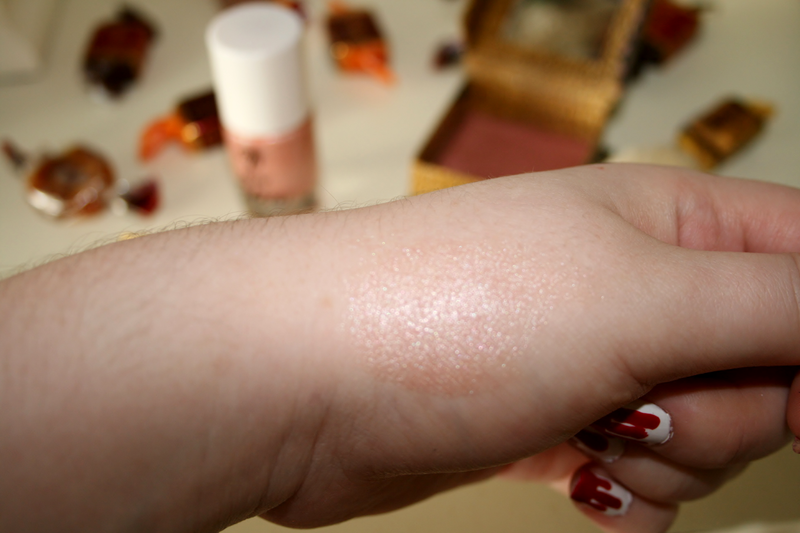 The rose gold W7 Night Glow is gorgeous on the skin, in the above picture I did put a lot more on my hand to swatch it than I would on my actual skin so it does look crazy shimmery but if you just apply 2 dabs onto your cheek bones its just the perfect amount. 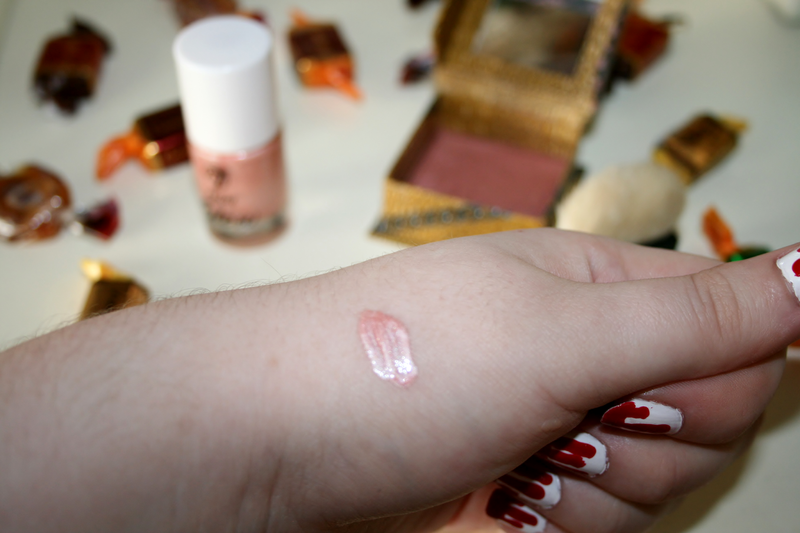 Of course I had to do a quick swatch of Rockateur because I just adore it and it smells amazing! Even after buying the Benefit box o blushes I have yet to try any of the other blushers I just can't stop myself from grabbing this beautiful one. I've been loving pairing these two products together and will probably continue to do so for quite some time. 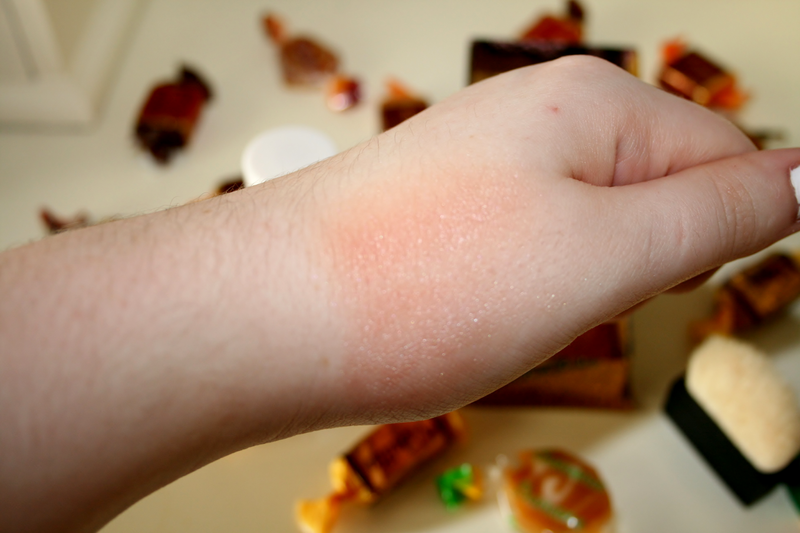 The blusher really does look lovely. I've heard so many rave reviews about it. Definately one for the Christmas list! At first I thought that was nail polish, lol. The combination of both is just beautiful! Very nice photography. Would love it if you could check out my autumn look book! And maybe follow each other too? I really wan to try the Rocketeur! Sounds great! they both sound lovely! Rockateur is definitely on my shopping list now!